José C. Paz, Argentina. As part of the extended activities to commemorate International Women’s Day, the Toki Eder Basque Club held its first workshop “Women and Equality.” The activity, taught by club member Paula Basaldua aimed among other things to “give visibility to challenges that make an egalitarian and inclusive society possible for all,” club sources said. During the event the «I will be who I Decide to be», campaign was presented by the Basque Women’s Institute, Emakunde for 2019 and material provided by them was also used at the workshop. 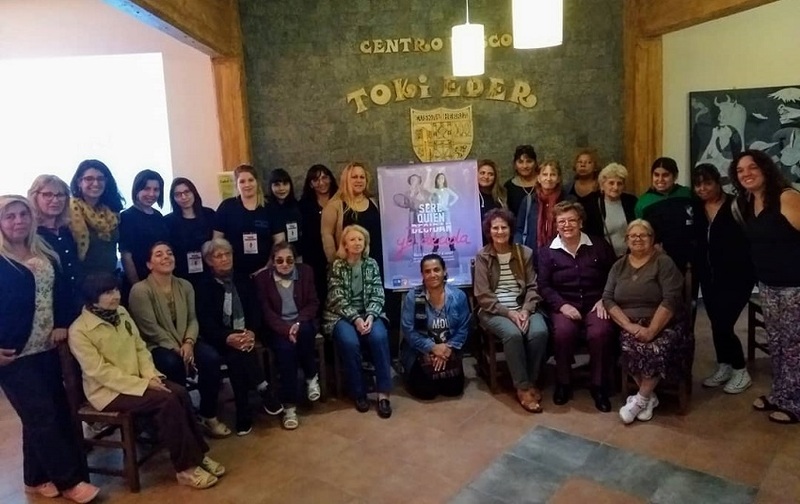 Club members as well as references of community organizations participated in the event along with the Intersectorial Local Table against Gender Violence and teachers and researchers from UnPaz.